According to the Mayans, the world is supposed to end today, or at least change beyond belief. Some speculate that magnetic north will move to near China and the earth will turn on it’s side. If their proves false and there is a December 22nd, 2012, here’s what we’ve found noteworthy for the Friday Five from PreppingToSurvive: U.S. financial institutions threatened with cyber-attacks again, police could soon be armed with handcuffs that shock detainees, common kitchen spice proves as effective as prescription medications, and portraying preppers in a dangerous light. Soon “Cuff him, Dano” could be taken to a whole new level. An Arizona based company has filed for patents for a set of handcuffs that can deliver an electrical shock or even administer medication to police detainees. The cuffs could be controlled by the police or set to automatically activated. From The Daily Mail. To some around the world, America and it’s form of capitalism is the great satan. It’s to be attacked and destroyed in any and every way possible. Now, the same group that launched cyber-attacks on U.S. banks this fall has once again threatened to attack the foundation of America’s financial system in an attempt to cause chaos and instability. From Fox Business. The U.S. criminal justice system has long been criticized as having too tiers – one for the haves and one for the have nots. If you have money and can defend yourself well, you’re less likely to go to jail. Now, that system has a new poster child – the senior management of HSBC who investigator found actively involved in illegal activity yet are not being charged with any crimes due to “collateral consequences” of taking the bank to court. From The Guardian. The U.S. healthcare system is sometimes called a disease care system; it focuses on treating diseases rather than preventing them. If you have an ailment, there’s a prescription to help. All other treatments, such as vitamins and homeopathic remedies, are shunned. Recently, however, studies has shown the Turmeric is at least as effective as non-steroidal anti-inflammatory drugs (NSAIDs). From Activist Post. America has a fascination with prepping. Television producers know it, marketers know it, and the authorities know it. 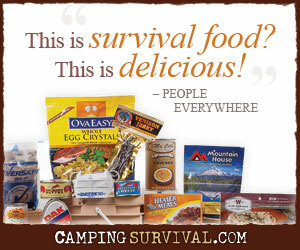 Now there may be a campaign to portray preppers, who simply hope for the best while preparing for the worst, in a new and unpatriotic light. From SHTFPlan. ← What Are You Doing on December 21, 2012? On Wednesday, a New York Times report said Iranian hackers were also able to break into the computer system of oil giant Saudi Aramco earlier this year and wipe out almost three quarters of the data saved on the company’s servers.